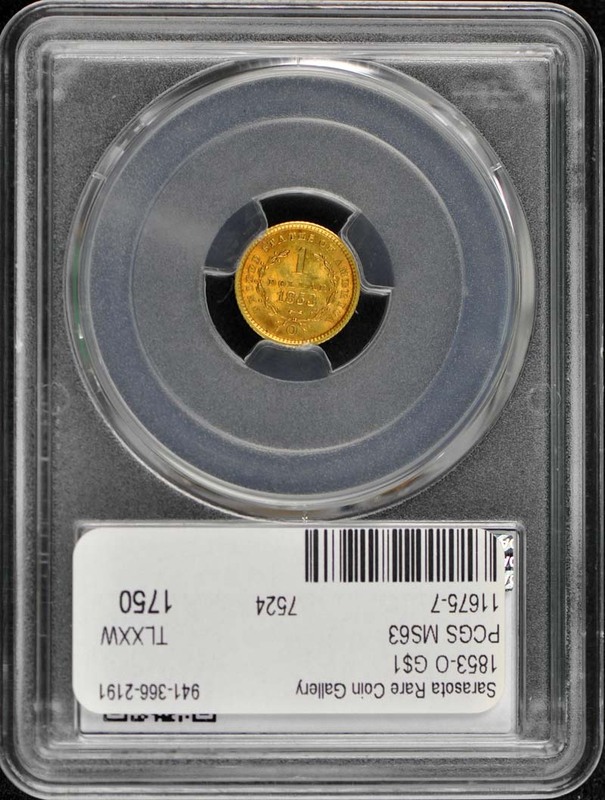 The 1853-O is the easiest New Orleans gold dollar to obtain in all grades, even though the mintage is the same as the 1851-O. Still, it is much rarer than coins from the Philadelphia Mint of the same era. 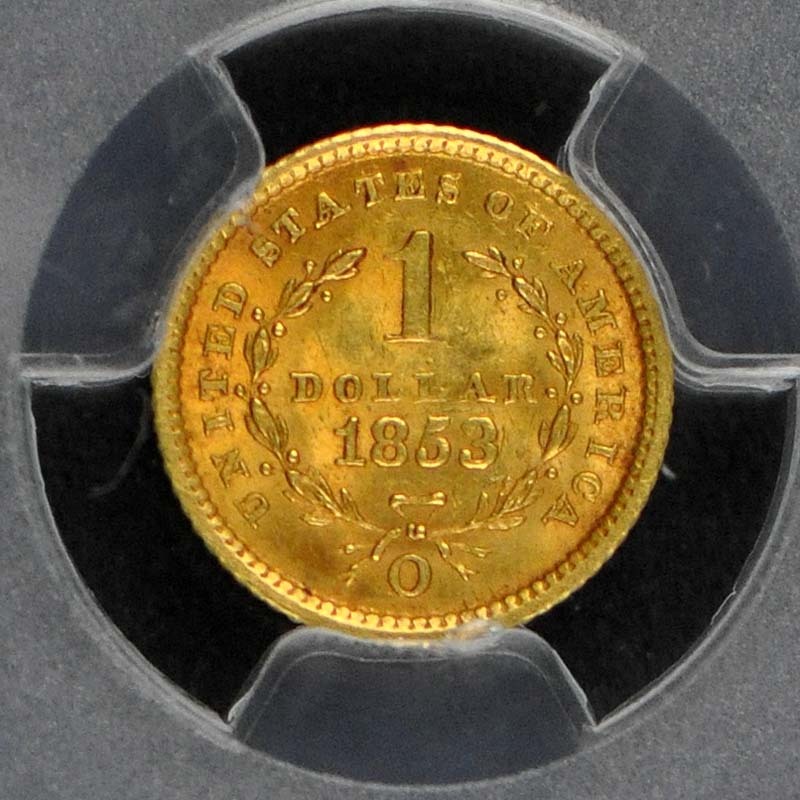 Even though lower-grade coins are relatively readily available, gem examples of the date are quite rare. 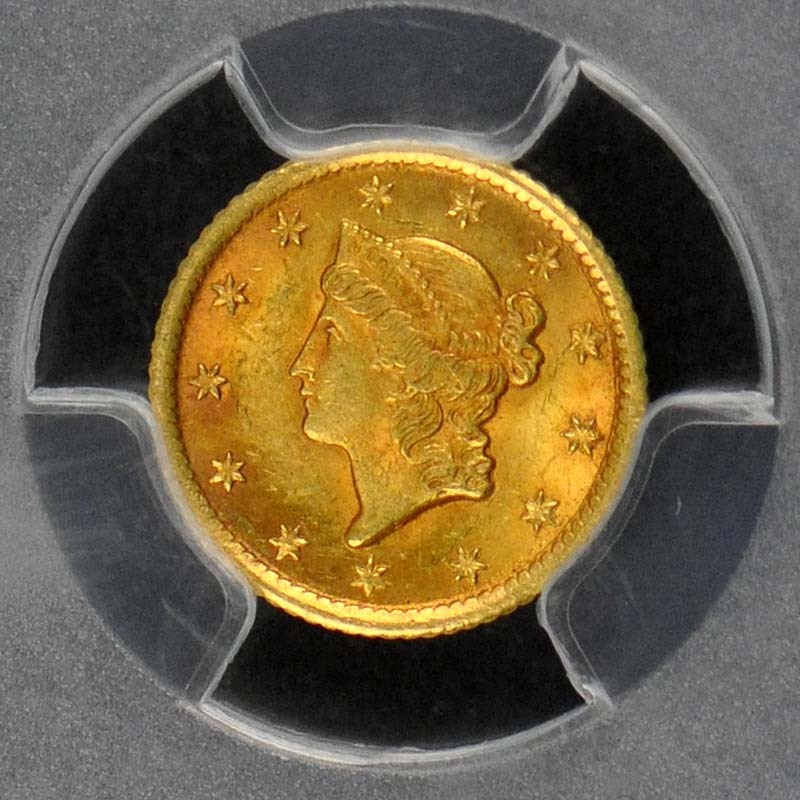 The finest example is a single NGC MS-67. Very few gems have sold at public auction over the last decade. 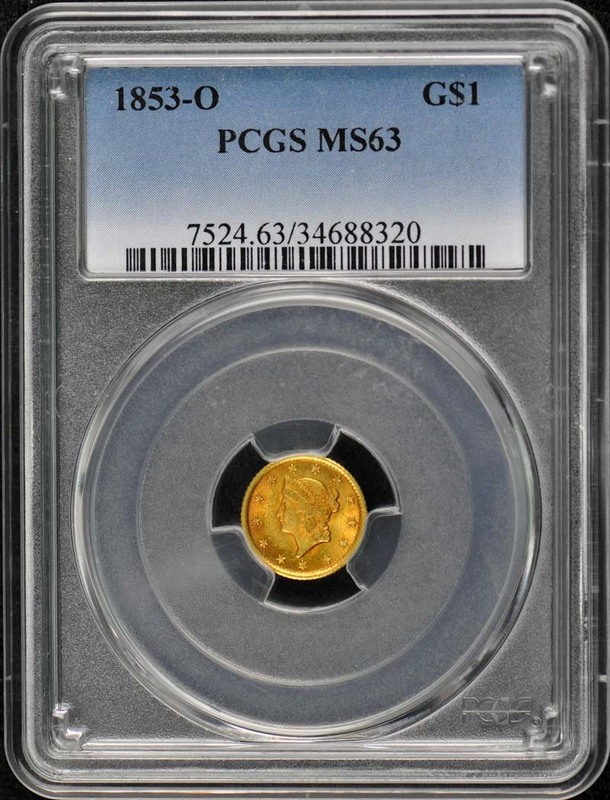 The most recent gem was a PCGS MS-65 piece that sold in August 2007. This issue is usually well struck but occasionally has a grainy mint luster.